Along with Outlook Express DBX Emails to HTML, the software Convert DBX files in more than seven file formats. Click on create collection to create newer one. Hit Click on Scan file to browse file from local and click on Add. The file load and scanned in quick time for preview. View scanned file in 8+ preview modes. The search option can be useful in case you want to find desired emails. Selected emails can be exported by right click on it. For bulk export use export given in menu bar. Select file type from available list and then click on OK to start process. There are certain situations in which user wishes to upload all mailbox data on cloud. This is done to avoid the chaos of data loss in case of emergency. For the same reason, users wish to export DBX emails to HTML code so that the files could be easily seen on web browser whenever required. Hence, users look for a solution that can efficiently convert Outlook Express DBX emails to HTML format. How can I remove identical or duplicate emails by this software? Will the DBX file to HTML Migrator take care of data integrity after export? Are there any pre-requisites to install software on Windows OS? Can DBX file to HTML Converter save scanned data for deeper analysis? I wish to rename Outlook Express files with different formats. Will the tool offer a criterion for this? It is a fact that cloud-based services are adept in fixing and enhancing business. It is also economical and offers data flexibility. Cloud services are preferred services for business usages. For exporting DBX mailboxes to HTML, it is best to go for the professional DBX to HTML Converter tool. This tool has the potential to export Outlook Express messages in HTML format seamlessly. The tool also has a feature to delete copied items from Outlook Express mailboxes. In addition to this, no pre-requisites are required for installing Outlook Express to HTML Converter on any version of Windows Operating Systems. The tool even has a feature to accumulate all files for deeper analysis. Data integrity, original formatting ,and internal structure are retained after the conversion of files from DBX to HTML. Is Microsoft Exchange environment required for accessing the mailboxes by this Outlook Express DBX file to HTML Converter? 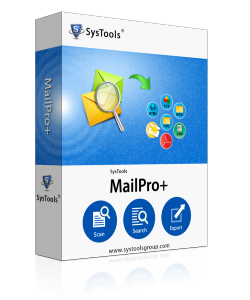 Can this tool export Outlook Express mailboxes to HTML in bulk mode? Yes, the tool exports Outlook Express data in HTML code very smoothly in batch process. So, multiple files can be exported by the tool. Is it possible to recover corrupted DBX mailboxes by this software? Yes, the software can easily recover inaccessible and even deleted DBX mailboxes. Moreover, it can also convert these files in HTML code. Will the tool be compatible with Windows 8 64-bit platform? Yes, the Outlook Express to HTML Converter supports every version of Windows Operating Systems and also all versions of Exchange server. I was searching for a tool that could convert my .dbx files to HTML in an easy manner, then I came across this tool and I must say that it is an amazing utility. This Outlook Express DBX to HTML Converter Tool allows all DBX mailboxes to be exported to HTML code, without ruining any meta properties and originality of data. Its bulk mode lets users save time and quickly exports entire mailboxes from DBX to HTML. Thanks for such an amazing innovation! I was stuck at a point where I wanted to upload all my DBX data on web. So, I searched for different software but got all the more confused. Then, dear friend of mine recommended me this DBX to HTML Migrator. So, I bought it and it really solved all my issues in just a few minutes. It is an excellent tool to migrate Outlook Express emails to HTML code. And the naming feature impressed me a lot in this tool. I just want to say keep it up, guys! Great Work!